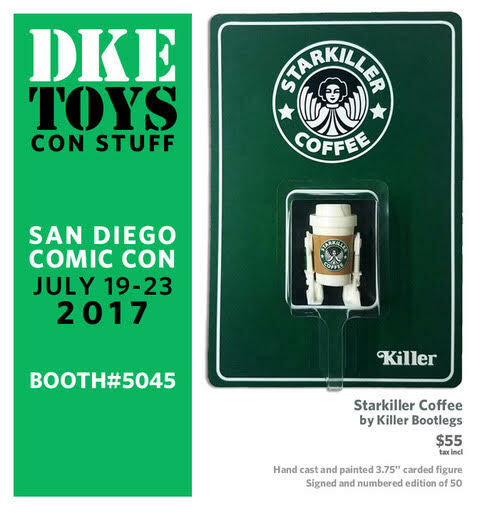 DKE Toys is releasing a stacked line-up of San Diego Comic-Con exclusive Star Wars inspired resin figures again this year at their booth #5045, and The Blot is loving the variety of awesome new figures. 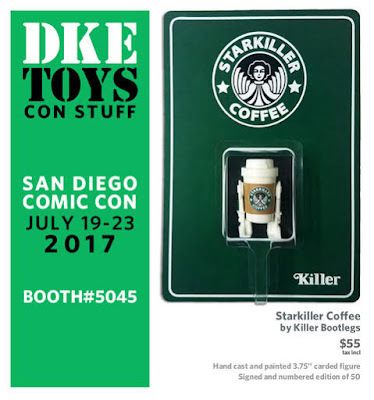 Check out the Starkiller Coffee astromech droid resin figure by Killer Bootlegs! What a great The Force Awakens mash-up of R2-D2 and a Starbucks cup. This 3.75” scale carded figure comes signed and numbered, and is limited to just 50 pieces. Collectors can purchase this killer bootleg Star Wars figure for $55.